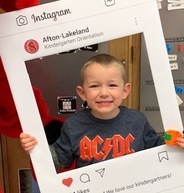 Hundreds of future Ponies from across the school district had the opportunity to visit kindergarten classrooms as part of Kindergarten Orientation on Friday. Students met their teachers, made new friends, sang songs, and posed for pictures to mark their special day. We are so excited to welcome you to our school communities this fall! See more photos on Facebook. The Lake Elmo PTA is partnering with the district and other parent groups to offer free childcare onsite at the School Board meeting on Thursday, March 7. Childcare will be provided in the gym at the Oak Park Building, 6355 Osman Ave N, Stillwater. The meeting begins at 6 p.m. Please register online to save a spot for your child! The high school has recently deployed a group of Peer Helpers to support and guide classmates through the social and emotional complexities of high school. The Peer Helpers are available to work with students on both the little and big challenges they face -from the occasional misunderstanding between friends to topics like anxiety, depression, eating disorders or even self-harm. Read more. Congrats to the wrestling team for placing second at state! It's the first time the Ponies were in the Class AAA championship match. Stillwater finished the season 25-1. Watch the video. Wrestler Reid Ballantyne captured his 3rd individual state championship! The 126 pounder did it in quick fashion pinning his opponent in just 29 seconds despite major injuries to both legs. Read more. Congrats to Josiah Fick who captured the state AA diving champion! The junior won the gold medal with a score of 389.35. The district is convening a a Long Range Facilities Planning Task Force and we need your help! We’re now accepting applications for task force members who will work to make recommendations to the school board on ways to enhance our facilities to better support our students and the needs of our community. The deadline to apply is Sunday, March 10, 2019. Apply online. Stillwater Area High School celebrated Black History Month with several events this month. Students read poetry, gave musical performances, hip hop dance lessons and speeches. A Girls of Color panel discussed their backgrounds and life experiences, while diversity speaker Tony Carr talked about growing up during integration and gave a presentation on African-American representation in society, art and media. February was I Love to Read month and schools across the district celebrated with guest readers, dress up days, book swaps, read-a-thons and more! More photos on Facebook. The Minnesota Association of School Administrators (MASA) has named Dr. Robert McDowell, Assistant Superintendent, the recipient of the 2019 Outstanding Central Office Leader Award. Dr. McDowell received this award for exhibiting a willingness to risk, possessing strong communications skills, being a progressive change agent, and having high expectations for himself and others. We love our school bus drivers! On Wednesday we celebrated Bus Driver Appreciation Day. See the photo album on Facebook. Did you know that our bus drivers travel about 13,000 miles every day? We are thankful for the 123 hard-working drivers who safely transport more than 8,000 students to and from schools across the district - in all kinds of weather. Join us in thanking our paras for their important and integral role in our schools! 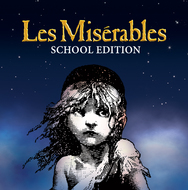 Watch our amazing theater students perform Les Misérables, an epic and uplifting story about the survival of the human spirit. The Community Education youth catalog goes live online Monday, March 4. 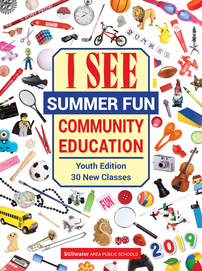 Kids will find 30 new classes to choose from this summer! ... and much, much more! Check it out online!